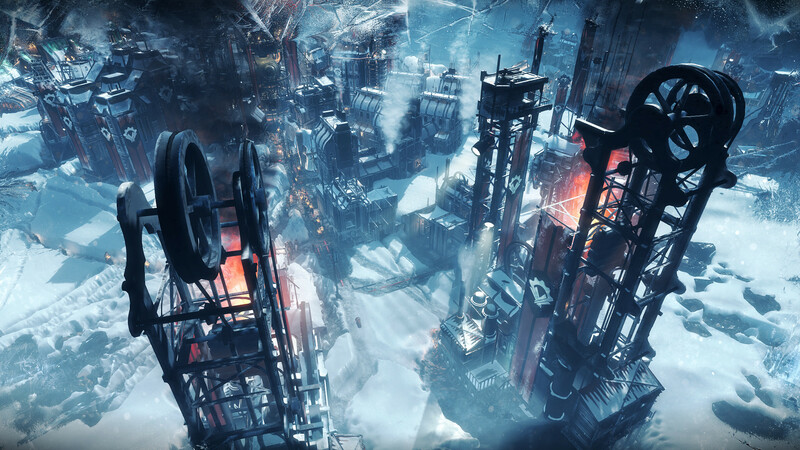 Frostpunk is a brand-new title from the creators of This War of Mine. 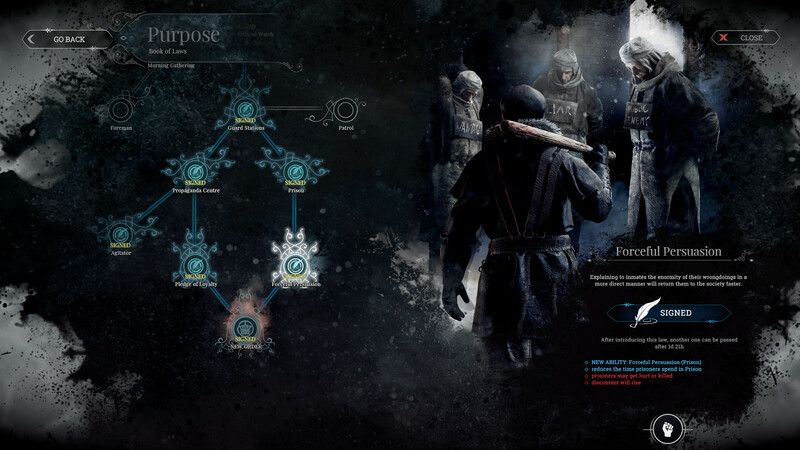 It’s a society survival game that asks what people are capable of when pushed to the brink of extinction. 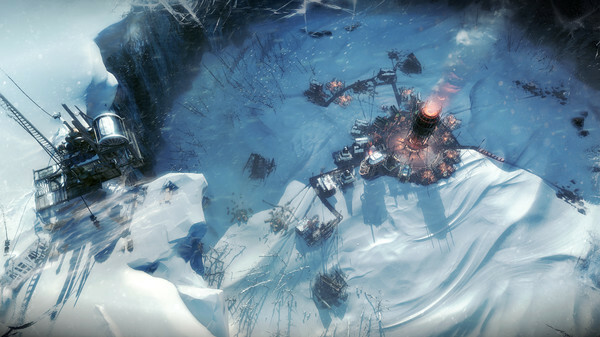 In an entirely frozen world, people develop steam-powered technology to oppose the overwhelming cold. The city’s ruler has to manage both the citizens and the infrastructure they live in. The leader’s tactical skills face challenges that will frequently question morality and the basic foundations of what we consider organized society. Optimization and resource management often clash with empathy and thoughtful decision-making. While city and society management will consume most of the ruler’s time, at some point exploration of the outside world is necessary to understand its history and present state. ...who will you become in the process? 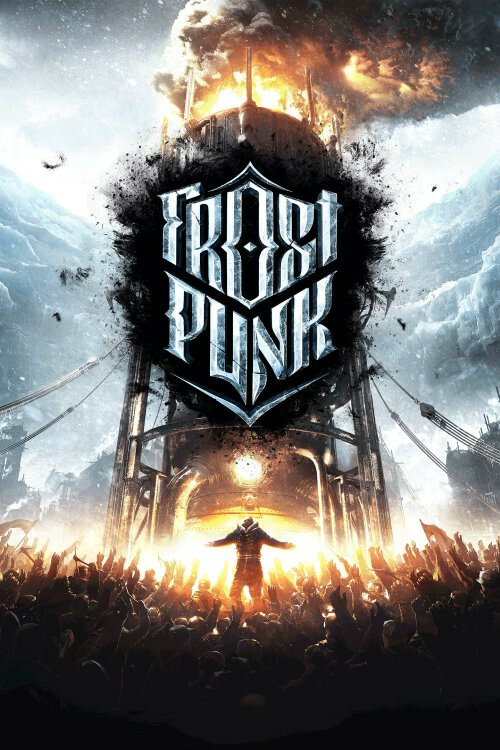 • Frostpunk is a society survival game where heat means life and every decision comes with a cost. 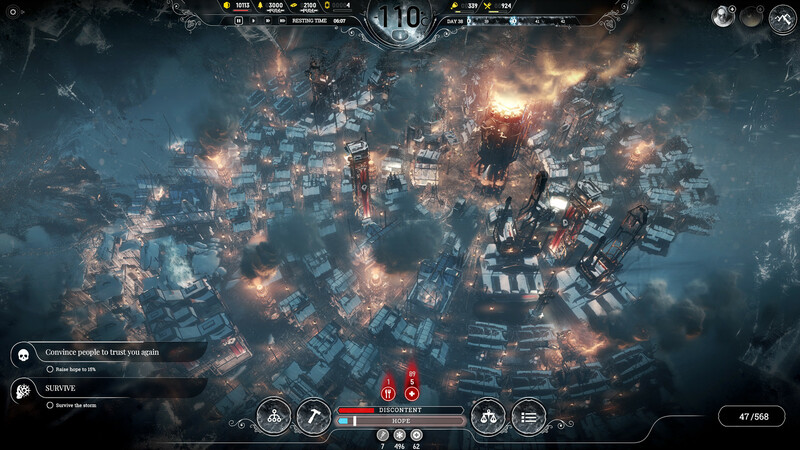 You face the task of building the last city on Earth and securing the means necessary for your people to survive. • Survival is about hope and the will to live. Your ability to spark and maintain them both in your people will be a deciding factor in your success. • Society is a group of people who abide by the same rules and share similar beliefs. Establish laws that regulate the existence of your growing society. Decide on their working routine, healthcare, food provision and other crucial aspects of everyday life. Maintain their hope and contentment – the moral condition of your society is as important as securing the basic means to keep them fed and safe. • Some of your decisions will seem small – like deciding the fate of a troubled citizen or meeting the demands of a newborn faction – but be aware that the sum of your doings can lead to unexpected results. Your people put their faith in you, but their devotion is not limitless. Leadership can be a burden. • Survival demands progress. React to current events, but don’t forget about the long term and investing in development and technological progress. Providing a highly advanced infrastructure with self-powered automatons, airships and other technical wonders is difficult, but achievable. It all depends on your management and leadership skills. • While New London is your main focus, there is much more to the world than what lies within the limits of your city. Expeditions, while risky, can bring you valuable intel, precious supplies and grow your society’s population. There may be people out there, and their fate lies solely in your hands. • If you reach a turning point, do not hesitate to determine the path of your people. 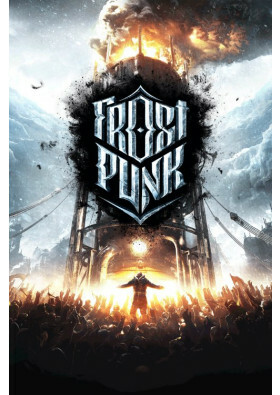 Should you rule them with an iron fist... or show them a way of compassion and faith? Reach for extremes or try to find a fair balance. Whichever you choose, remember: there’s no turning back. 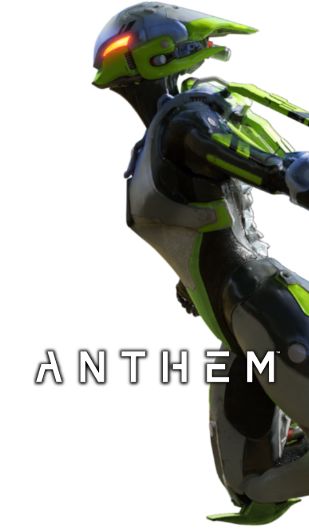 • The main story campaign can go different ways depending on your playstyle, but it is still not the only challenge to tackle. 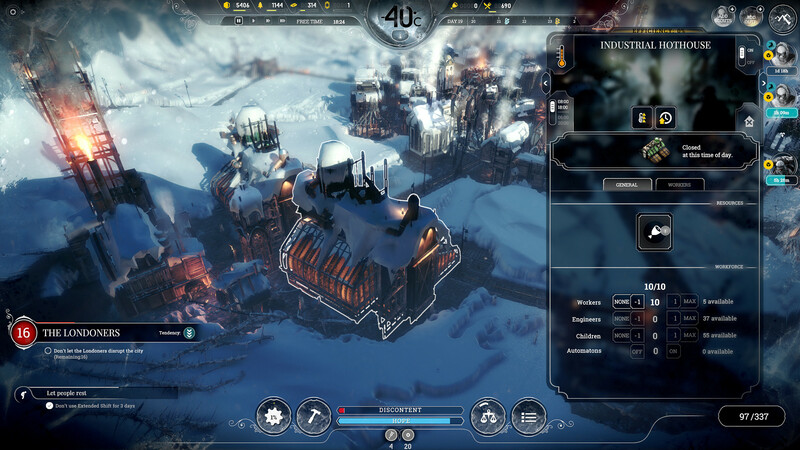 Frostpunk offers different scenarios and additional updates with new content will be added in the future.